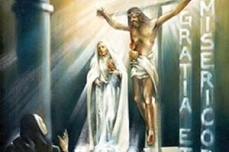 In the apparition of July 13, Our Lady warned the three seers that if people did not stop offending God, He would punish the world “by means of war, hunger and persecution of the Church and of the Holy Father,” using Russia as His chosen instrument of chastisement. She told the children that “to prevent this, I shall come to ask for the Consecration of Russia to My Immaculate Heart” and promised that, by this single public act, Russia would be converted and peace would be given to the world. Our Lord’s warning is a grave one indeed, referring as it does to His command, through St. Margaret Mary Alacoque, to the King of France that he consecrate his nation to the Sacred Heart of Jesus. The King chose to ignore the command and thus condemned his dynasty and throne to the horrors of revolution, chaos and the guillotine. 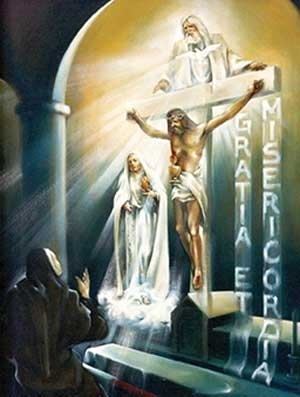 The Blessed Virgin’s request for the Consecration of Russia remains one of the most controversial aspects of the entire Fatima Message. 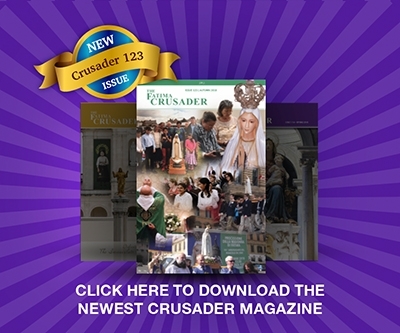 While several popes have undertaken consecrations of the world since the request was made public (including Pope John Paul II in 1982 and 1984), sadly, none of these have fulfilled the specific requirements of Our Lord and Our Lady’s requests. In repeated visits to Sister Lucy, Heaven’s King and Queen have insisted that it is Russia (and Russia only) that is to be the object of this public act of obedience and prayer. In addition, Our Lord and Our Lady have indicated that the Holy Father is to be joined in the act of consecration by all the Catholic bishops of the world on the same day and at the same time in their respective dioceses. Interestingly, only Pope Pius XII’s consecration of the world in 1942 included substantial involvement of the bishops. Sister Lucy has written that this imperfect act of obedience, while not fulfilling Our Lady’s Fatima request, nevertheless hastened the end of the Second World War, thus sparing the lives of tens of millions of souls.